The science lab is an extension of the classroom. It provides a platform for students and teachers to work together. 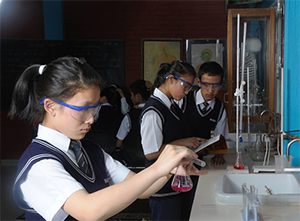 The science lab is well-equipped for hands-on activities for the students of middle and high school. We have divided our Science lab into 4 sections of corners: the book corner, the observation section, the computer section with high speed Internet and an experiment section. Each section is well maintained and facilitated and helps students to understand the essence of what is being taught. We believe that the future is digital. Baba has always sought to keep up with the times by integrating the latest technology available. The school has a state of the art computer lab that students can use to thrive in a highly complex – technological world of the 21st century. 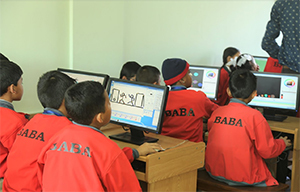 Computer based learning allows students to gain knowledge on a wide variety of subjects in an equally wide variety of ways. Technology helps make teaching and learning a lot more meaningful and fun.